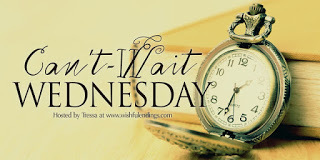 Can't Wait Wednesday is hosted by Wishful Endings Book Blog. Let's discuss those books we "Can't Wait For"
But 1st! I literally feel like the WORST BOOK BLOGGER EVER! I never really wait for books. d) If it is the last book in the series, I probably forgot everything that happened come before it. e) Waiting on books really psyches me out, raises the expectations and ruins the experience. f) Last but not least, I can't afford, my wallet or my time to buy and read every single book I find interesting, as is a Book Lovers way. With all of that being said, I CANNOT WAIT for this book!!! I was tricked! 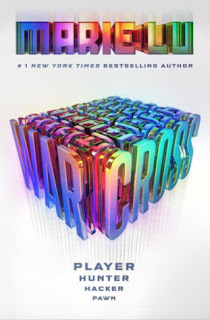 I'd thought Warbringer was Warcross as both authors were to be in discussion, and I didn't even know Warbringer was coming out. (see worst book blogger) Until I actually purchased the book. Why I'm excited for Warcross. I loved Legend as much as I hated The Young Elites. I'm positive Marie Lu is an amazing author. The Young Elites is a prime story of WAITING that psyched me out. I couldn't get into the story. One day I plan to read it again. So I can wait 6 days, enough time to finish Warbringer and get over the inevitable book hangover to devour this beauty. I'm definitely looking forward to reading this one too. Hope we both enjoy it! I've featured this one a few months ago and I'm also excited in checking this out! This looks really good, I keep seeing this around.